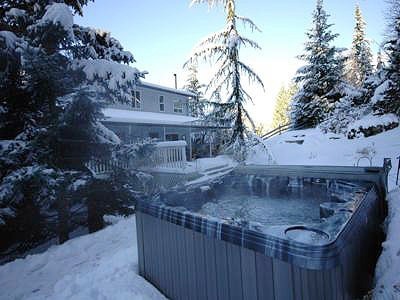 This private, custom-built, glacier view home with a hot tub, sauna and covered decks, is centrally located minutes from the Sea To Sky Highway, 30 minutes from the Nordic Venue, 45 minutes from Whistler and Cypress and 50 minutes from downtown Vancouver. 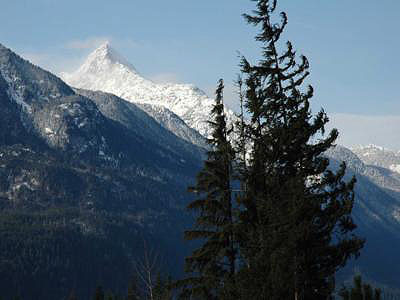 It is in the middle of the Olympic action but surrounded by mountains and nature. 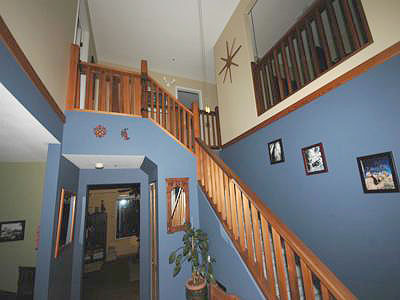 The 3000 square foot, 4 bedroom, 5 bathroom house on a quiet cul-de-sac is designed for a relaxing stay. 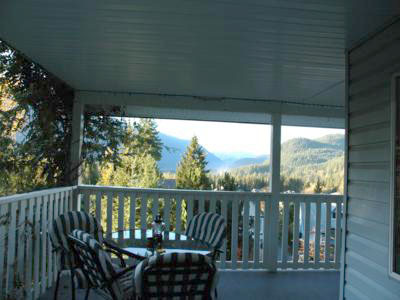 The mountain views are stunning and are visible from most rooms in the house. 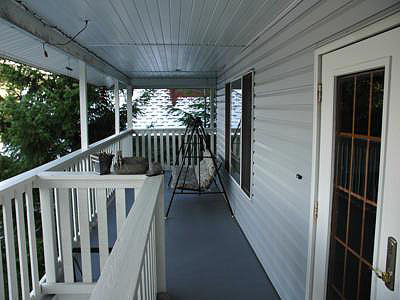 There are 2000 square feet of covered decks on 3 sides of the house so it can be enjoyed in any weather. 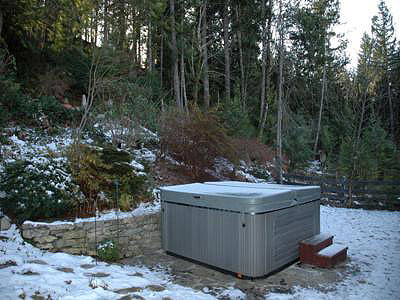 The backyard borders on a forested parkland which allows guests to enjoy the new 7 person hot tub, sauna or rock fireplace in privacy. The forest also provides many trails to explore. 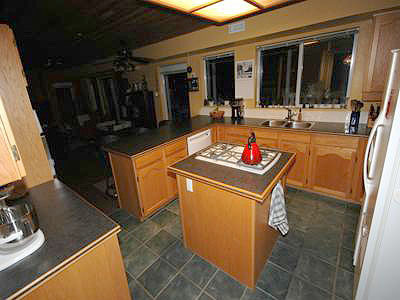 An open floor plan on the main level connects a living room, family room, kitchen, dining room, bathroom and laundry room. 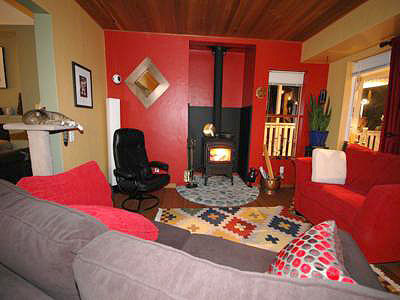 There is a gas fireplace, woodstove and central heating to give guests options to stay cozy. The large gourmet kitchen offers bar seating, a new gas range, dishwasher, filtered water, ice maker and every appliance and convenience you would need. 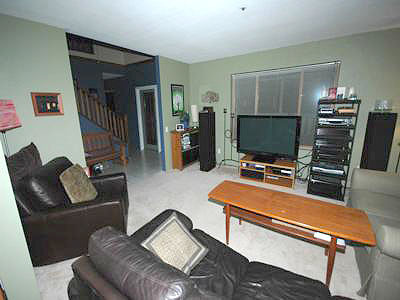 The living room boasts a new 50 inch Plasma TV and home theatre which includes satellite TV, DVD, VCR, CD, Blu-ray, wireless internet and a Playstation 3. 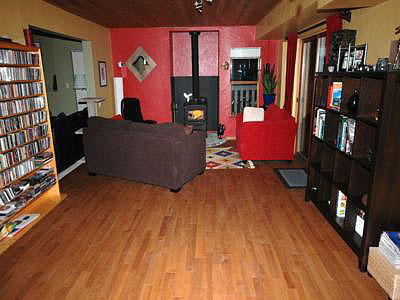 This level also includes a dining room and a sitting room with hardwood floors and lots of furniture. 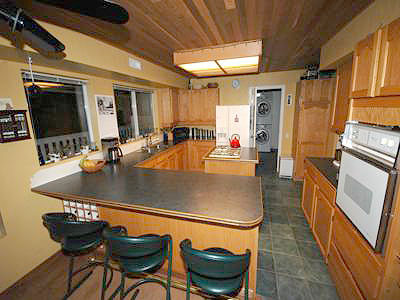 The laundry room is adjacent to the kitchen and has new, high capacity appliances and room to hang up clothes. 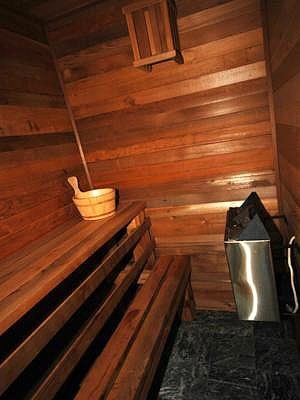 The upper floor has 3 bedrooms including a master with a walk-in closet, large ensuite bathroom complete with 2 sinks, a large soaker tub and a shower. 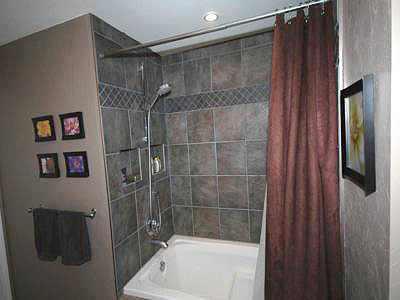 The common bathroom upstairs has been recently remodeled complete with granite countertops, high end fixtures, bathtub/shower and heated tile. Sleeping arrangements are flexible. 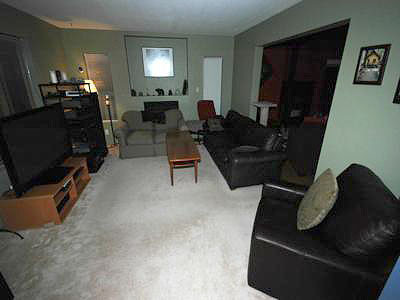 The lower floor is a completely separate 1 bedroom suite with its own entrance. 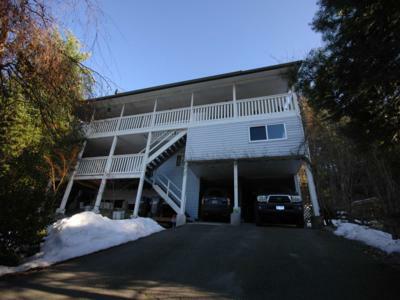 It has covered decks, a gas fireplace, 2 bathrooms and another kitchen and laundry center. 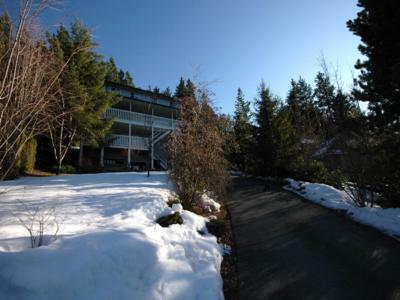 There is ample parking for up to 10 vehicles, a 2 car carport and ski/snowboard storage in a workshop adjacent to the carport. 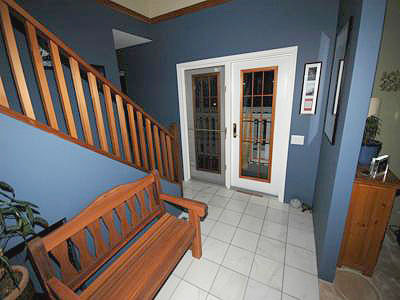 Make your stay a relaxing and memorable experience at Glacier View Lodge. 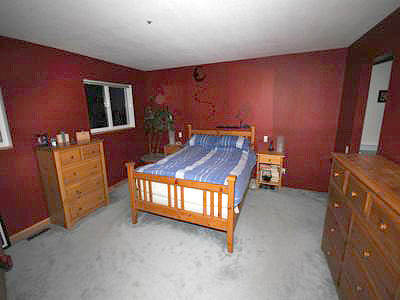 Can sleep 2 on a queen pullout in living room.